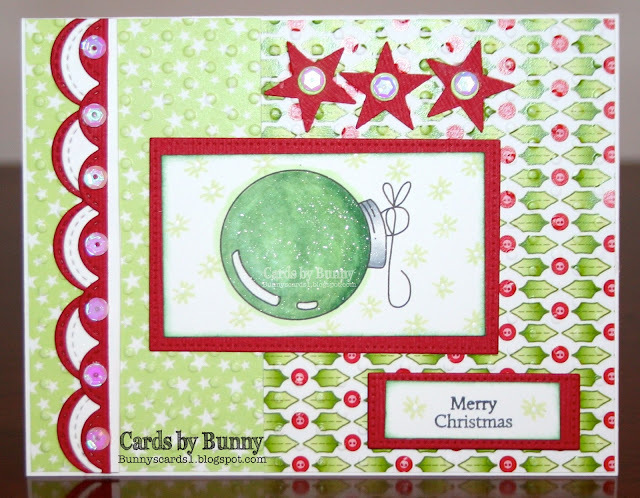 Hi Bunny, I love your festive Christmas card with all of the elements. The ornament image takes the stage. Thanks for joining us at the Mod Squad challenge this week. Well done- Love your card layout and design. Thanks for joining us at Penny's Paper-Crafty. Super sweet card! Such a cute design! Love the colors! Wonderful lay-out and papers used in your card. Thanks a lot for joining last week's Challenge and would love to see you again this week at Word Art Wednesday. Leaving you with an encouragement found in Psalm 125:2 which tells us, "As the mountains surround Jerusalem, so the LORD surrounds his people both now and forevermore." Have a great day!